Tired of watery iced tea, coffee and frappes? There is a simple trick to ensure that you never have that happen again, want to know the secret? Make coffee cubes. This simple thing will change how you make your iced coffee. When I make coffee I rarely finish it all, even though I am just using my french press. Do yourself a favor, revolutionize your iced coffee with coffee ice cubes. You will never have diluted iced coffee again. This also works great with tea. 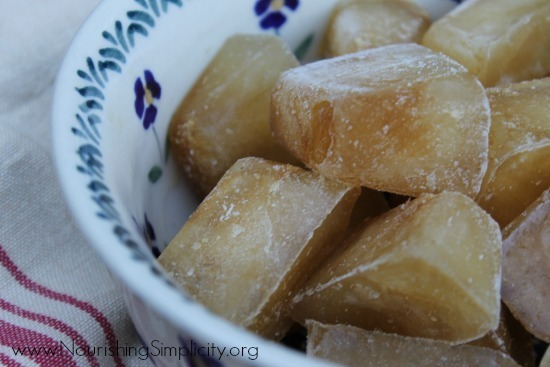 I have been making lots of chai ice cubes recently to make my own chai frappes. 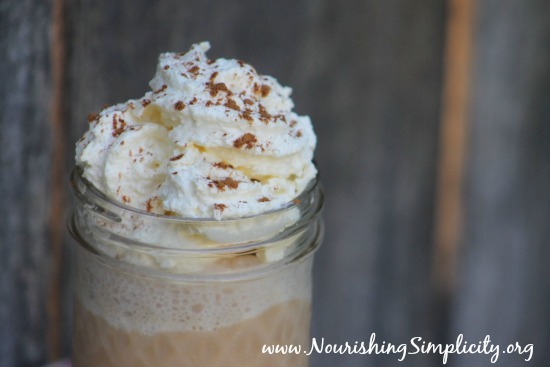 In the past when I wanted to make a frappe (or fauxccino as I like to call them) I would use ice, strong coffee and milk. If I didn’t drink them right away they would become diluted. Now I just blend coffee ice cubes with milk, sweetener and whatever else I want to add. The result is a better drink that never tastes watery. As odd as it might sound my favorite drink right now it chai with raw milk, a few drops of stevia and coffee ice cubes. There is something about the blend of chai and coffee that I find delicious! Oh course you can just add them to coffee as well for your regular iced coffee. Have you made coffee or tea ice cubes before? How do you use them?